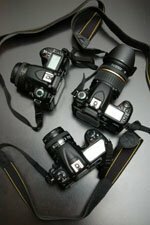 Camera Companies sites offers direct links to various camera companies Web sites and is a useful resource to keep informed on new camera model releases and technology advances. The news sections of the various camera company sites is the place to check to find press releases for new camera models that are not yet listed on their Web site. Knowing when the next upgrade to a digital camera is expected can be very useful when buying a new equipment as prices on the current model usually drop just before a new model comes out. You might find this a good time to pick up some bargains as shops clear out inventory. For more useful tips on buying camera equipment read our article 10 essential steps in buying a new camera and other equipment .